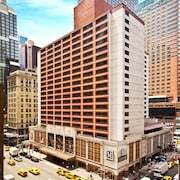 It was good to be so close to Penn Station and all the new activity in midtown. Where to find Bellerose hotels near an airport? 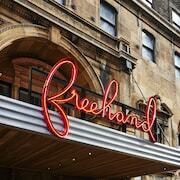 How can I find hotels in different Bellerose neighborhoods? Where can I find hotels in Bellerose that are near tourist attractions? If you're after affordable or upscale establishments in or around Bellerose, there is a wide range of suitable possibilities. You can search no less than 45 hotel and apartment options within 0.1 kilometres (0.06 miles) of Bellerose's downtown on Expedia's informative and up-to-date booking database. A terrific option if you are looking to stay close to the downtown of Bellerose, is the Bellerose Inn. 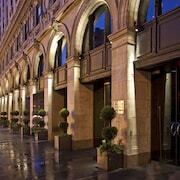 The The St. Regis New York is situated 20 kilometres (13 miles) from downtown Bellerose. 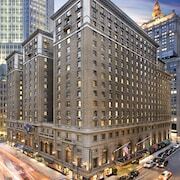 Or, alternatively, the Mandarin Oriental, New York is 20 kilometres (14 miles) away. 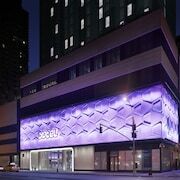 The Trump International Hotel & Tower New York as well as the The Plaza Hotel are some alternative options around Bellerose. 16 kilometres (10 miles) to the south of Bellerose is Charlton-King-Vandham Historic District, which is home to the Jacob Riis Park. Far Rockaway is blessed with a selection of great places to spend the night. Alternatively, there's Charlton-King-Vandham Historic District, 25 kilometres (15 miles) to the west of Bellerose. In Charlton-King-Vandham Historic District, why not visit the SoHo Playhouse. 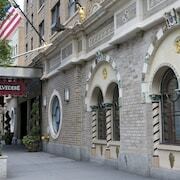 The The Lowell and Four Seasons Hotel New York are great places to stay in Charlton-King-Vandham Historic District. Get your sports fix with a visit to Madison Square Garden, which is 25 kilometres (14 miles) to the west of Bellerose. 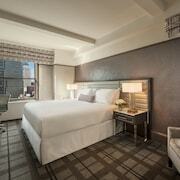 Book accommodation right near the action at the The Ritz-Carlton New York, Central Park or the The Peninsula New York. John F. Kennedy International Airport is 11 kilometres (7 miles) from Bellerose. 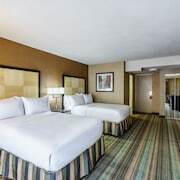 Travelers who wish to stay nearby, you can easily book a room at the Courtyard by Marriott New York JFK Airport or the Hilton New York JFK Airport. 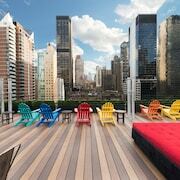 What are the most popular Bellerose hotels? Are there hotels in other cities near Bellerose? 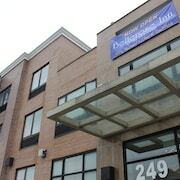 What other types of accommodations are available in Bellerose? Explore Bellerose with Expedia.ca’s Travel Guides to find the best flights, cars, holiday packages and more!